The young man Omony holding KCC's key to the crucial encounter. 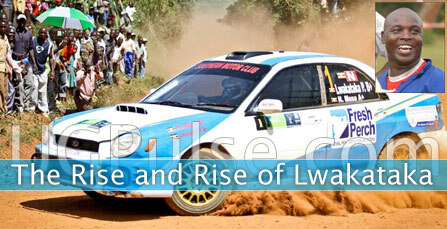 As the quest for Kakungulu cup intensifies. Can KCC FC pass the Super sport test? 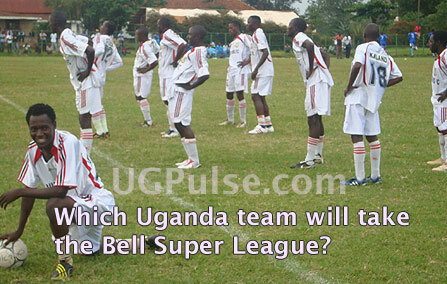 This has turned to be a common question on the streets of Kampala among the soccer fraternity head of the long waited mouth watering tie pitting Ugandan Champions Kampala City Council FC and their South African counterparts Super Sport United. The two come face to face Friday 13th 2009 at Namboole Ultra Modern stadium in the first leg of first round of the lucrative African Champions League. If there is any one in position to answer the above question should be the country's first rising terrific marksman Brian Omony. The 22 year old is enjoying a form of his own and shoulders 90% of the hope by the country if her ambassadors are to progress. Ever since the start of the year, Omony has been hitting headlines inspiring the national team to CECAFA title, shouldering his club past the preliminary round of the Champions League scoring two of the three goals that saw off Feraviaro De Maputo FC in the 3-2 victory. 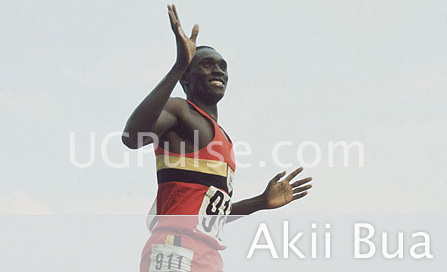 He went on to win The Uganda Sports Press Association accolade for the month of February. Just over the weekend he was the reason as to why Uganda ended its 8 year spell of not winning any game from away. He scored both goals in the Cranes 2-nil victory in Khartoum over Sudan in an international friendly. Uganda had last won from away in 2001 when they defeated Malawi in Blantyre 2-1.The late Magid Musisi and Phillip Obwin being the scorers on that day. The pint-sized striker has been scoring in his club's seven consecutive engagements. He described his brace against Sudan over the weekend as the precise tune ahead of the Friday showdown. "These two goals against Sudan have boosted me ahead of the Super sport game. It's a hard game but with team work we can eliminate them," said the man who a fortnight ago graduated from Kyambogo University with a bachelor's degree in Economics. The match has been further spiced up by the presence of national team first choice goalie Denis Onyango Masinde on the opposite side. "I wish Onyango the best and dont want him to lose his number at Super sport but because he is standing in my way this time, I don't have anything other than scoring past him" warned Omony mid last week. Coach George 'Best' Nsimbe is expected to employ his favorite 4-3-3 formation accommodating work horse Robert Ssentongo and Anthony Bongole alongside Omony` in the attack . The trio faces a hard task of unlocking the four towering man rearguard of Morgan Gould, Bongani Khamulo, Hlompo Kekana and Tseitsi Mahoa with Uganda's own Denis Onyango in between the goal post. Jeremiah Ssebuyira and Patrick Ssenfuka will spear head the battle in middle of the pack against the visitors diamond mid field marshaled by experienced Lerato Chabangu. Like in the previous game against Ferraviaro de Maputo, Nsimbe will once again gamble and bench Rwandese experienced all rounder Omar Hitmana for no nonsense Patrick Musoke who will be called not even to nap for a micro second especially with danger man Diane Klate masterminding the South African goal hunt. The team's lead striker has been struggling with an injury but has recovered in time.